Try the Rapid City bike path. Crossing Rapid City from west to east, this concrete trail meanders through a neatly-groomed greenway alongside Rapid Creek. This greenway and park system were created as a lasting memorial to the 238 lives lost to a flash flood in this city in 1972. The path has become a favorite for local residents and visitors alike. A more challenging ride is the George S. Mickelson Trail. Other cycling routes are plentiful on public highways throughout the Black Hills region. Mountain biking is also at its best in the Hills—with an almost limitless number of locations for on-and off-trail excitement. While cyclists are not required by law to wear helmets, the use of such protective headgear is recommended. Be mindful of traffic laws and of your responsibility as a cyclist. 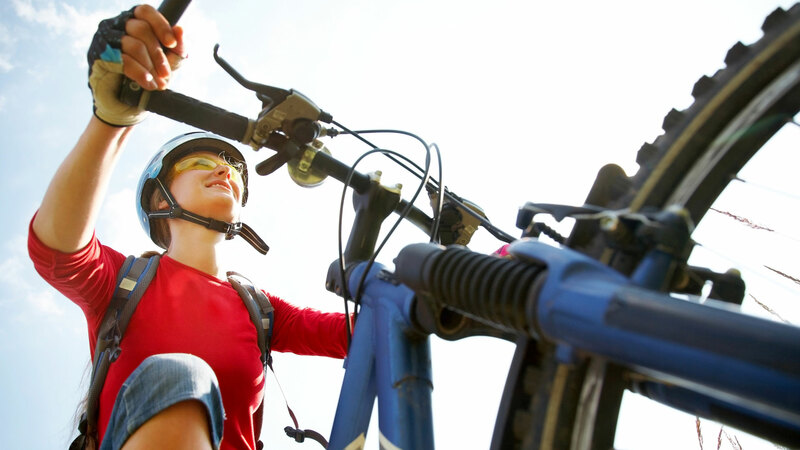 If you have specific questions about cycling, please contact the Department of Transportation or the Game, Fish and Parks Department in either South Dakota or Wyoming, or the U.S. Forest Service. For further information on the George S. Mickelson Trail, visit Game, Fish and Parks Department/Mickelson Trail.